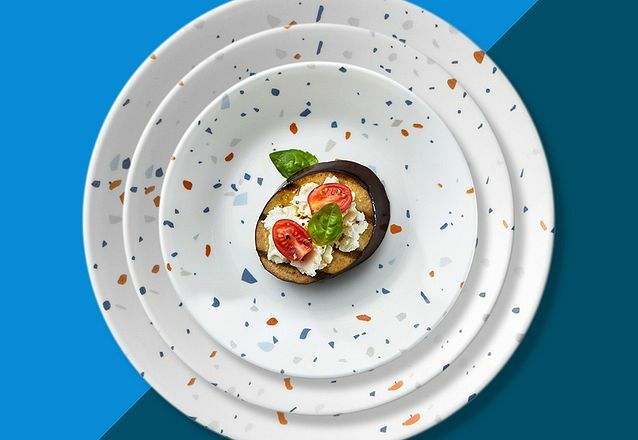 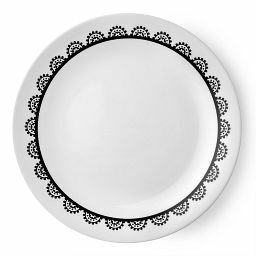 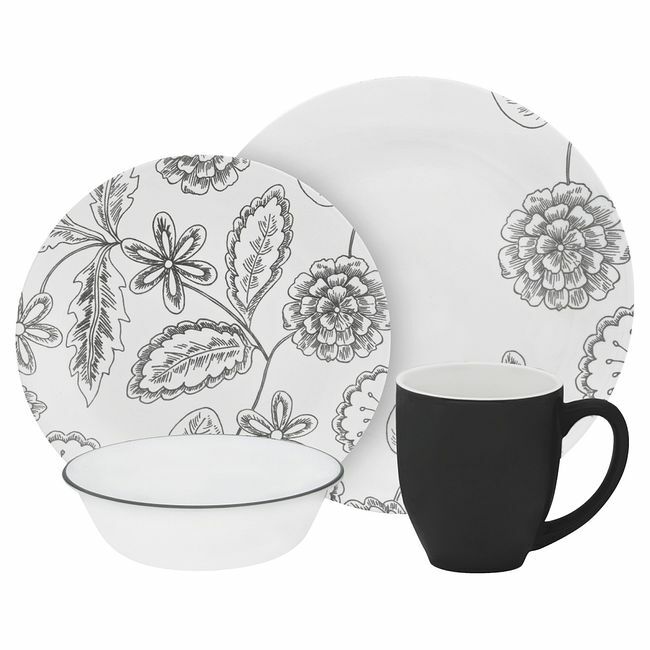 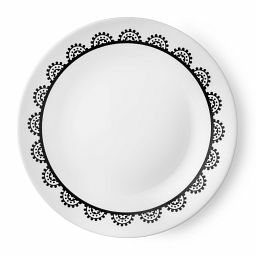 Ink-sketched florals accent this dinnerware set with fresh, modern artistry. 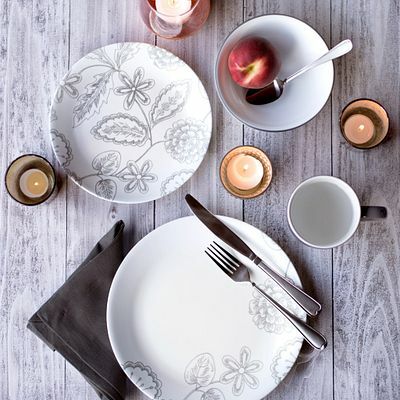 These blooms and branches evoke vintage botanical drawings, but their ink-sketched style makes this dinnerware look fresh and modern. 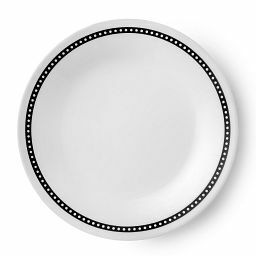 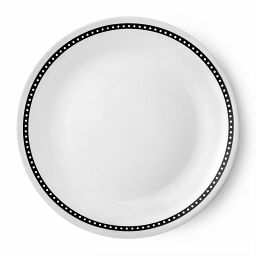 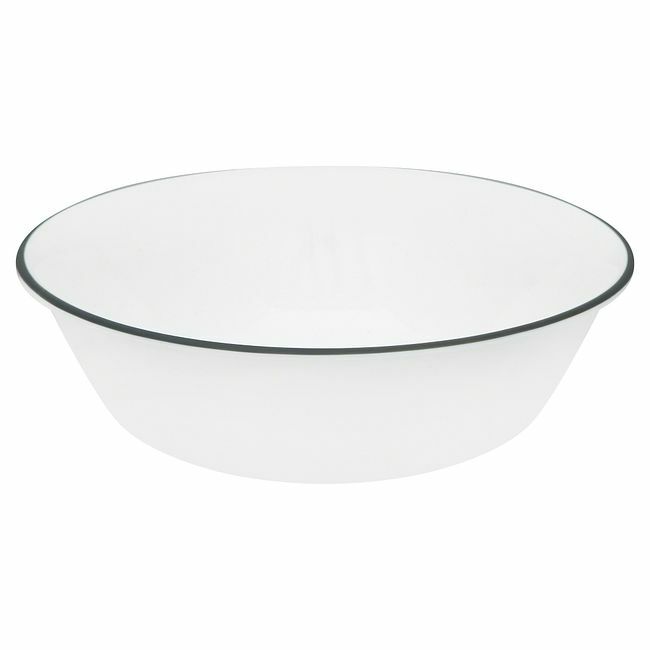 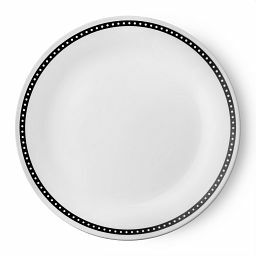 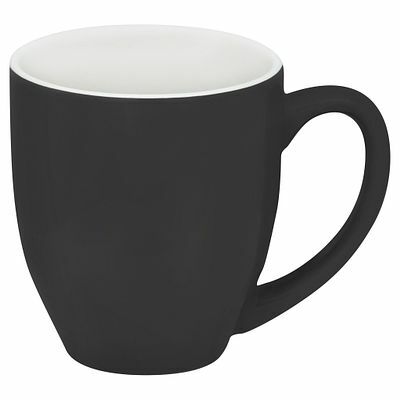 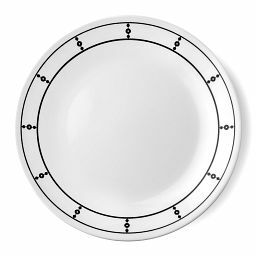 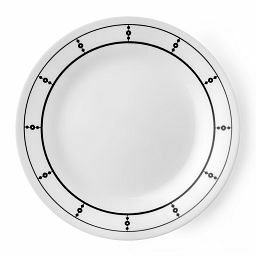 The coordinating plates layer with black-accented bowls and mugs for a clean-lined, contemporary look on the table.